Structural steel construction: Two structural ironworker erectors place erection bolts for wide flange steel beam. Beam remains loosely attached to crane cable hook by sling, while ironworkers do erection bolting. 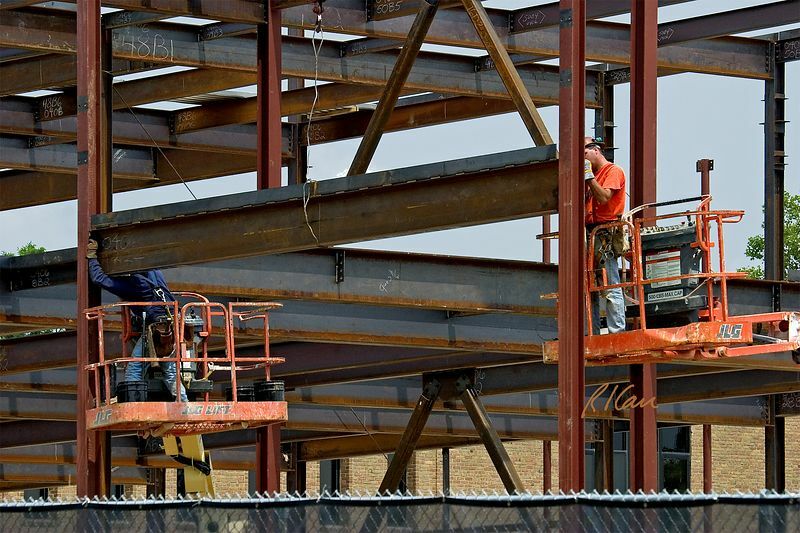 Ironworkers are supported by JLG electric boom lifts that are controlled from worker platform. Ironworkers have personal fall protection from lanyards between body harness and lift guardrail. Biomedical Engineering, North Campus, University of Michigan, Ann Arbor, 2004.